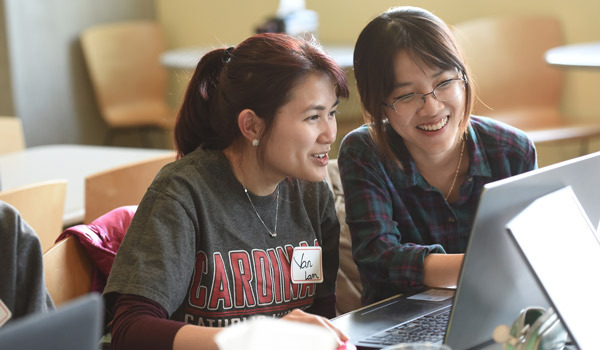 Five students will represent The Catholic University of America during the first-ever Vatican-sponsored hackathon, taking place March 8-11 in Rome. Throughout the weekend, student teams will use technological innovation and creative thinking to engineer high-tech solutions in three theme areas: social inclusion, interfaith dialogue, and migrants and refugees. 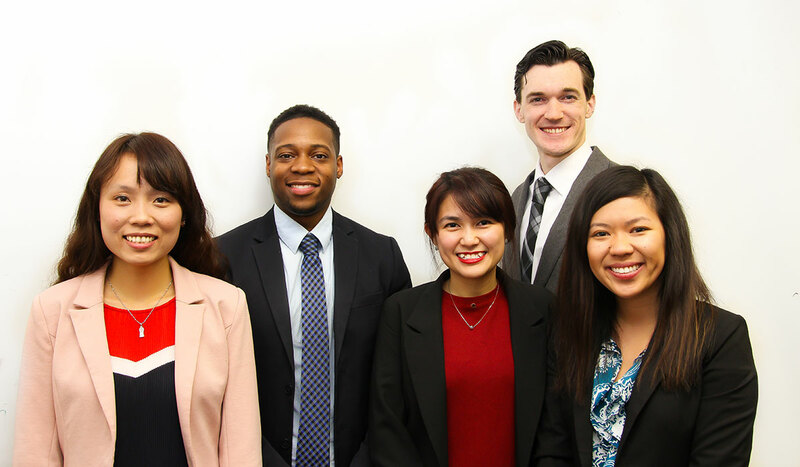 The Catholic University team is comprised of Vy Bui, who is earning her doctorate in electrical engineering; Van Lam, who is earning her doctorate in biomedical engineering; Emma Flanagan, a sophomore studying business and marketing; LeQuan Clinton, a master’s student in architecture and planning; and Michael Monaghan, a senior studying computer science. The students were selected after participating in a University-sponsored hackathon in January. That hackathon, which was organized by the School of Engineering in collaboration with the D.C. Department of Human Services, challenged students to develop a program or system using data science and engineering to improve the living conditions of people experiencing homelessness in Washington, D.C.
John Judge, dean of the engineering school, said hackathons like VHacks are a valuable learning experience for students, allowing them to find new applications for knowledge they have gained in the classroom. MEDIA: To schedule an interview with students attending the Vatican Hackathon, contact the Office of Marketing and Communications at communications@cua.edu or 202-319-5600.